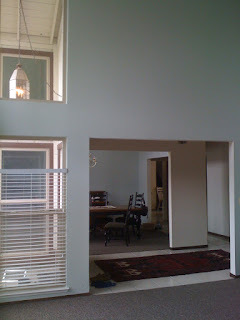 The room on the right as you enter the house will be "the library". I like the sound of that. 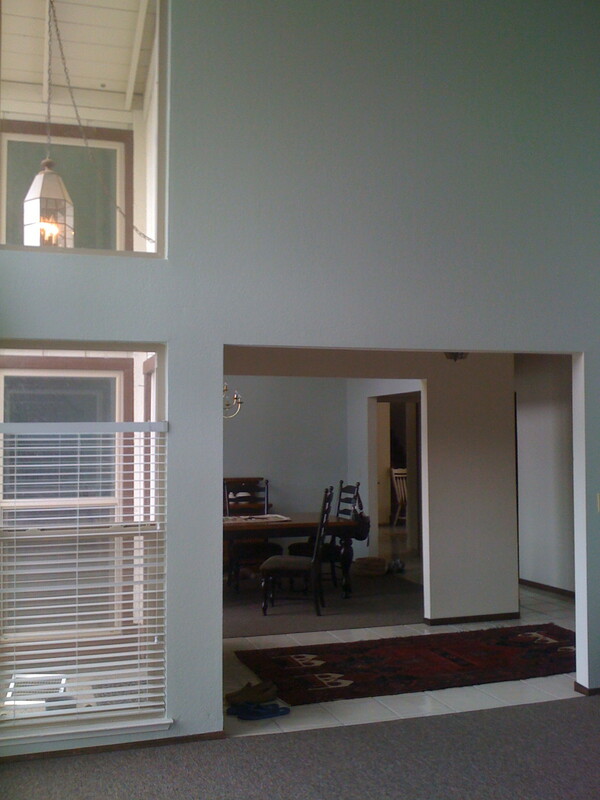 It's walls are painted a strange was-meant-to-be-sage-but-came-out-slightly-different pale shade of... something. The books are still in boxes. 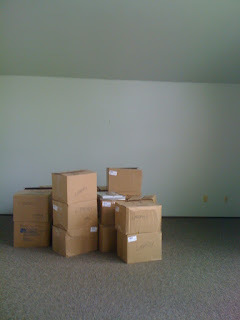 And so are the bookshelves: they arrived this weekend, about twenty boxes full of pieces to be assembled. Same room, looking through the dining room towards the kitchen.